Tag! published on July 20, 2015 Rachel16 Comments on Tag! 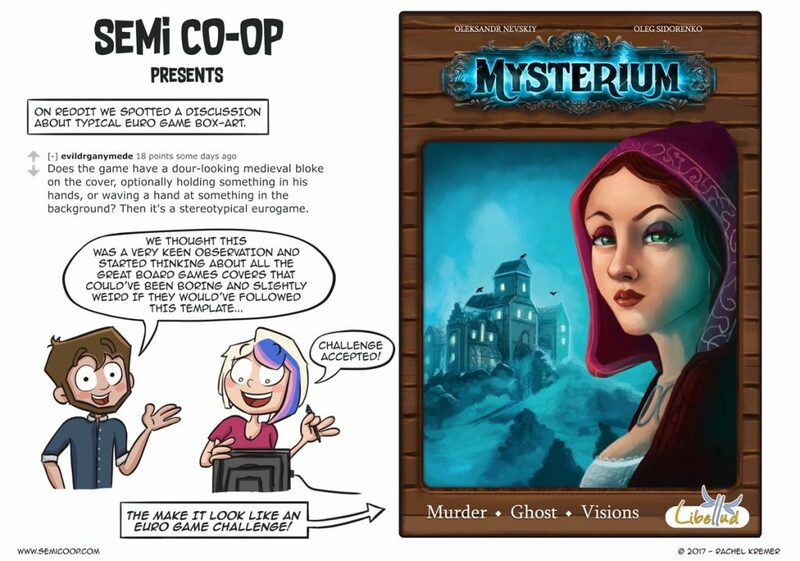 It’s been eleven weeks since my last comic about Netrunner, so I thought it was about time to post this one. 😉 People that don’t know or play Netrunner really won’t get the joke, so I’ll try to explain it a little. The comic is based on the card Scorched Earth. In Netrunner, one player plays a runner (‘hacker’) and the other player plays a big corporation. Corporations have the ability to tag a runner. When a runner is tagged, a corporation can do some horrible things, like Scorched Earth. During my last tournament I won twice because of this card. Both times I ended up with two Scorched Earth cards in my hand and the possibility to tag the runner (and them lacking the money to remove the tags in time). As a runner you can’t really defend yourself against a total of 8 meat damage. That’s because the cards in a runner’s hand are equal to the amount of damage they can take. With the standard maximum hand size being 5: you can do the math. For the Netrunner players: What are your favorite cards (or combination of cards)? Ahhhh, Scorched Earth. Nothing beats Scorched Earth. Escape, of course, some Plascrete Carapaces. As a runner I really like Eater / Keyhole, though there are ways to beat it. SanSan Grid is another corp favorite of mine. Then there are the cards I wouldn’t mind seeing get into a Traffic Accident: Account Siphon, Caprice Nisei, and Jinteki: Replicating Perfection. Eater/Keyhole is an intriguing combination. Heinze has put it in one of his Runner decks, can’t wait to see it in action. And I fully agree on Caprice Nisei, I’m not a fan of the Psi ‘games’. Urban Renewal beats Scorched Earth. 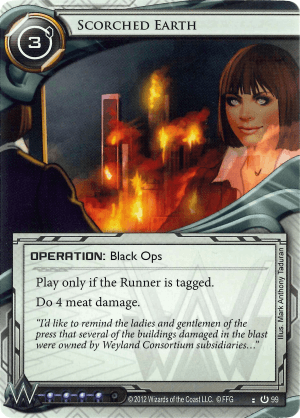 Card from the original Netrunner run that does 5 Meat damage instead. Jackson Howard, our lord and savior of the Archives. These comics are really great. You’ve really tapped into a niche. Thanks for the compliment! Great to hear people enjoy it. Faust joust ( with wyldside pancakes). All the stellar(space) ice. And confusing people who brought me into netrunner by placing chaos theory and monoliths! Welcome! Thanks for following! 🙂 The more the merrier. Haha, I love your Netrunner ones. Corporate Troubleshooter a Komainu as the runner encounters it. Love the comic strip! Will be following you. It used to be howler/janus, but right now it’s panic button + reuse and ash on archives out of industrial genomics. 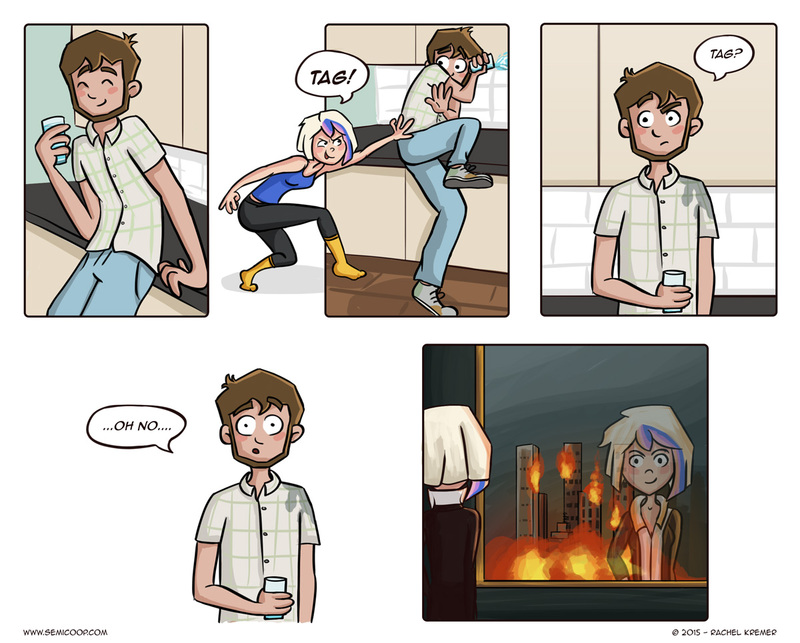 This comic is awesome ny the way!